A 1000 watt Rooftop solar power plant used for training and research. 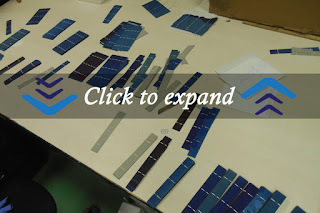 It consists of poly crystalline solar panel with a capacity of 250 watts each. 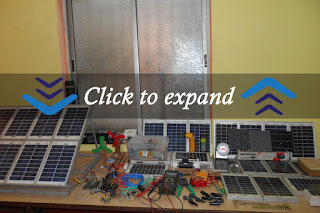 1 Kwp system include remote monitoring Solar inverter, Batery, AJB, DB and others BoS equipments. Institute run by solar power. 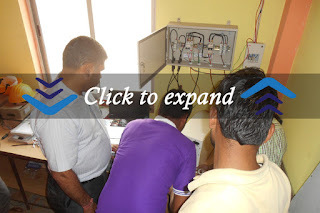 The whole usage of this system is, it can train the students in both offgrid and grid connected system. The system demonstrates the performance of solar panels and also the functioning of power conditioner unit - solar hybrid inverter. The system display monitor will give information of real time measurement of system parameters. 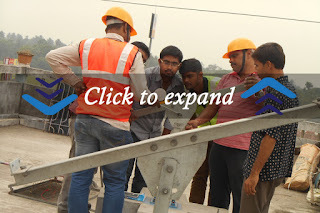 The institute has an exclusive workshop facility for practical as well as project work on Off-grid, Grid-tie Rooftop Power Plant, Street Light Installation with modern equipments. 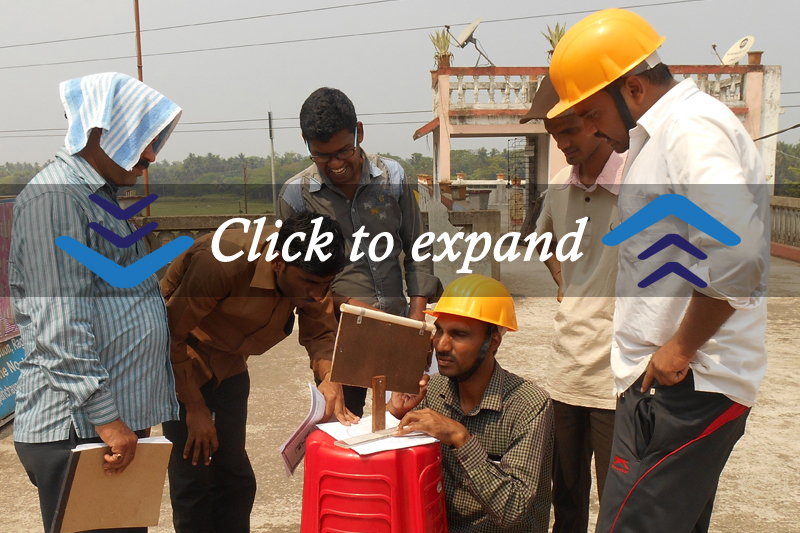 In this workshop students can develop their technical skills practically by using 1000 Wp Rooftop Plant system. They install the power plant from civil work to testing, commissioning. 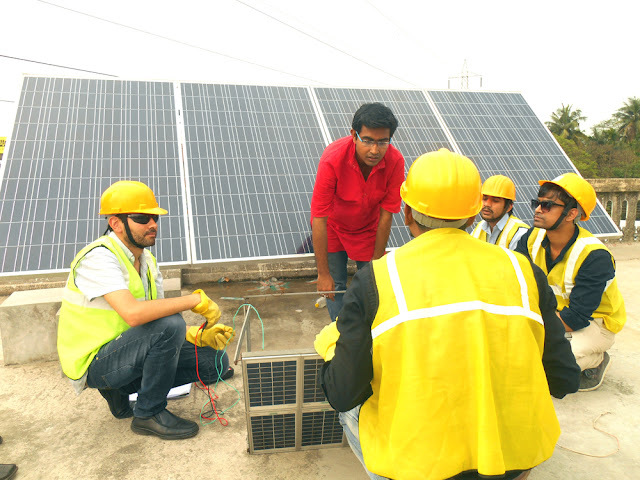 In this practical session students can develop installation skills practically by using 1000 Wp Rooftop Plant system. They install the power plant from civil work to testing, commissioning.